“No one left behind”… For the last five years, Talent Match has lived up to its motto and turned life around for over 2,500 of the Sheffield City Region’s (SCR) most vulnerable young jobless. Many of those young people had been considered beyond help, but the Big Lottery funded employment programme, run by Sheffield Futures, proved otherwise. Right across the Sheffield City Region, from Doncaster to Barnsley, Rotherham to North East Derbyshire, a team of 23 coaches worked one-to-one with 18-24 year-olds who had been jobless for over a year and were struggling with a wide range of life issues. Their barriers to work ranged from learning disabilities, mental health problems and homelessness to single parenthood. Some had spent years in care. They were helped to grow their skills and confidence, and equipped for work with additional financial support for training courses, travel expenses workwear and tools to the tune of £271,300. As a result, 711 achieved sustained employment or work placements and over 1,000 entered into education or training; 82.5 per cent of clients said they more confident and competent and 63 per cent of their families said their relationships with the young person had improved as a result. These statistics have earmarked the Sheffield City Region scheme as a top five performer in the trailblazing national scheme which launched with £106million of funding in 2014 to tackle youth unemployment in the areas of England hardest hit by the economic downturn. 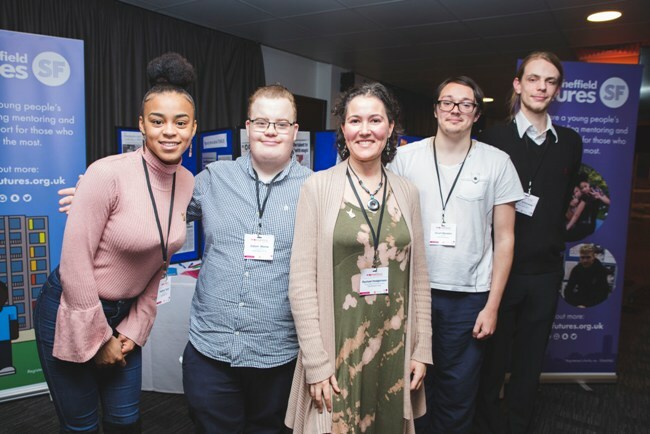 But as the close of 2018 approaches, so it does for Talent Match SCR and its 20 sister projects across the UK, which together have connected with over 25,000 young people and created one of the UK’s most significant databases on 18-25-year-old NEETS. Funding from the Big Lottery Fund is to finish at the end of December and earlier this month, at “No One Left Behind”, Talent Match SCR held a celebration of the project’s achievements at Doncaster’s Keepmoat Stadium. Audiences heard that while its departure will leave a huge gap, a valuable legacy has been achieved. At the event, hosted by BBC’s Tom Ingall, of BBC Look North, stakeholders praised the results gained by the programme, young adults told how their lives had been turned around and coaches spoke of the rewards of the job. Scott Hignett from The Big Lottery, which funds the 21 Talent Match projects across England, praised the depths of the relationships coaches developed with their young clients. He said: “On average a young person with a chaotic and disrupted life is given 63 different forms of support. To truly engage, young people need a trusted place and a trusted person. Talent Match also received praise from the SCR Local Enterprise Partnership. Krysia Wooffinden, assistant director for Skills, Employment and Education, said: “The theme “no one left behind” is very important. Legacy 6, a year-long scheme to help young people with mental health issues will now be launched, revealed Karen Challis, Head of Education and Employment services at Sheffield Futures, which ran Talent Match in the SCR.